SGX usually releases short sell information for each stock at the end of each trading day. This information are found in their website. The daily short sell of all stocks are compiled into a report classified by day. We are interested in getting the short qty ranked by stocks per day. If we examine the link, each report is in the form of a table format. To extract the information, we can use python pattern for web content download and Pandas for table extraction. Pandas has a function “pandas.io.html.read_html” that can retrieve table like data from the html string easily. The following lists the steps to retrieve the short sell information. URL formation: As the link are joined by the date, need to retrieve the date str to join to the fixed url string. However, not all the date will be present, eg , during weekends. A better way is keep looping the the date back from current to get the latest date avaliable. HTML data download: This can be done using python pattern. Converting the table to data frame: This can be done using Pandas function “pandas.io.html.read_html”. Also Pandas provides a rank function so that the results can be ranked accordingly. Converting into Pandas database make it easy. Ranking by absolute qty may tend to mislead as it will also depends on the shares relative volume. Combining with the actual shares traded will give a more representative data. 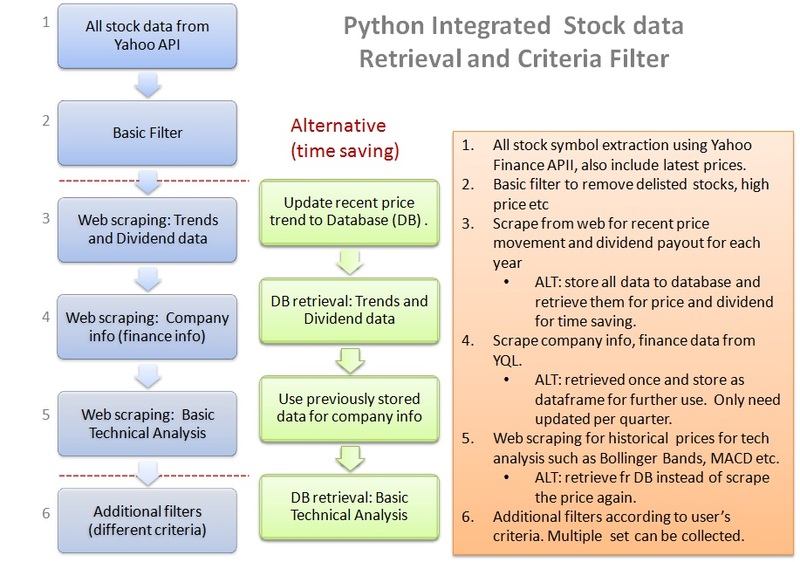 For this case, the data frame retrieved can be joined to the current price df created from the previous post “Retrieving stock news and Ex-date from SGX using python“. The last will be to set the alerts which can be done easily using PushBullet as describe as the following post “Sending alerts to iphone or Android phone using python“. You can customize to send the alert at the end of each trading day to determine the top 10 short sell stocks. 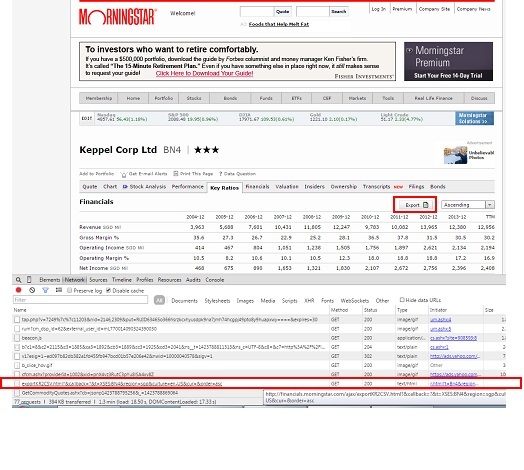 Below show the short sell info retrieval portion of the code found in the “SGX_stock_announcement_extract.py” for retrieving the short sell qty for each stocks. The updated code is found in Github.
""" Retrieve the shortsell information. will form the url and retrieved the information using pandas to make into table. The function will set to self_shortsell_info_df. # have a sorting of data?
""" Based on the current date to set the shorsell url. last_effective_date (int): last desired date in yyyymmdd.
""" Return the last date in which the results will be displayed. It is set to be the current date - num of days as set by users. num_days (int): num of days prior to the current date.
""" Use for alerts on shortsell information. Identify top ten short sell plus target stock short sell information. The last post mentions about retrieving RSS feeds. To allow easy viewing, a GUI is constructed. The GUI is built using wxpython and consists of few adjustable pane with scrolling enabled. The user can choose to display the different group (eg: “World” and “SG” news) in separate panels. For live updates, a wx.timer function is added to the GUI so the data can update every x time specified by the users. This post highlights the use of wx MultiSplitterWindow, scrollable panels and wx.timer for feeds live updates. Just a simple test window to put into the splitter.
""" Run the get feeds class. Use for getting updates of the feeds.
""" Update all the panels with the updated feeds.
""" Update World_panel on the World news.
""" Update SG_panel on the Singapore stock news.
""" Update feeds once timer reach. The following links contains information on setting up scroll bars in wx and also working with wx.timers. Python Pattern allows easy way to retrieve RSS feeds. 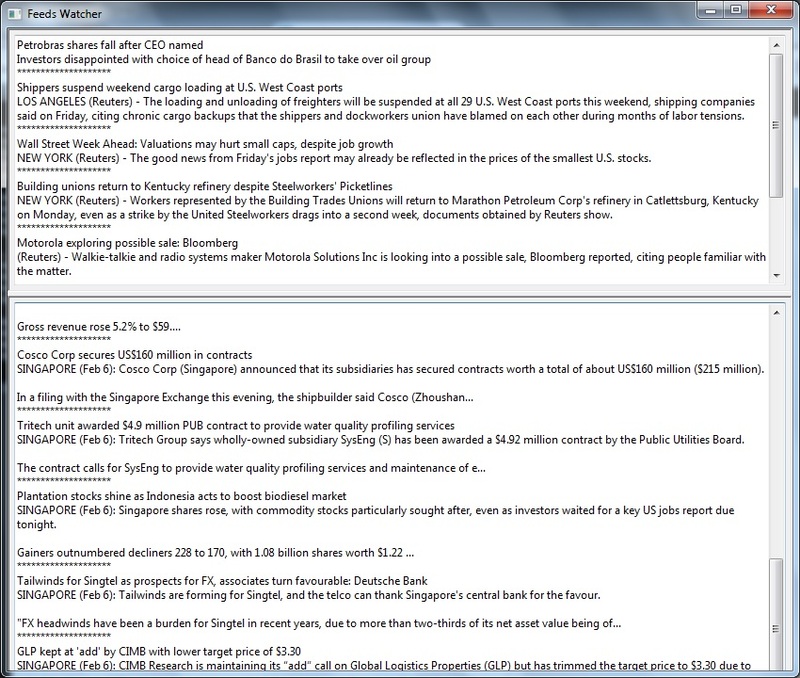 The following script will act as a feeds reader and retrieve feeds from various sites, focusing on world news and related Singapore stock market in this example. This will return object that has the following attributes title, link and desc. The script below takes in a dict with the different categories as key. The value are the list of RSS url belonging to that category. The script will output results in the form of dict of categories and results of each category are segregated by date key. This script allows consolidation of different feeds from various RSS sources enabling the user to further process the feeds. The printing of the feeds can be limited by the set_last_desired_date() which display only results from a certain date. ## individual group storage of feeds. rss_site_urls (list): list of rss site url for getting feeds.
""" Convert the date str given by twiiter [created_at] to date key in format YYYY-MM-DD.
""" Function to parse the RSS sites. Results are stored in self.rss_results_dict with date as key.
""" Iterate over the list of categories and parse the list of rss sites.
""" Print the RSS data results. Required the self.rss_results_dict. rss_results_dict (dict): dict containing date as key and title, desc as value. SINGAPORE (Jan 27): Gains in most Asian markets helped lift Singapore shares, with much of the buying centred on penny stocks. SINGAPORE (Jan 27): The number of job vacancies in Singapore swelled to 67,400 in the year to September 2014, from 61,900 the previous year, with the services industry in greatest need of workers.